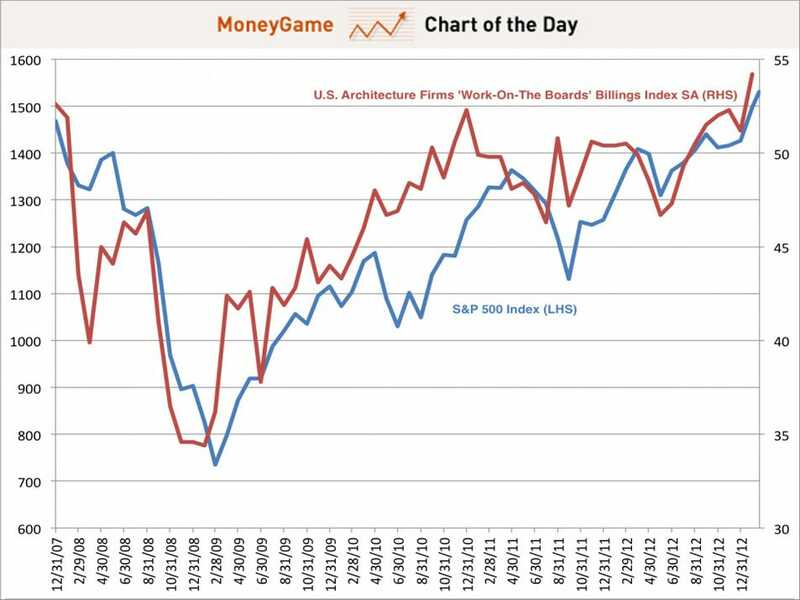 This morning, the Architecture Billings Index jumped to 54.2 from last month’s 51.2 reading, the fastest rate of growth in more than five years. 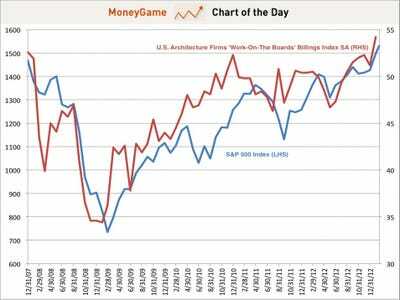 The index is a leading indicator for commercial real estate. Dave Lutz, head of ETF trading and strategy at Stifel Nicolaus, sent along the chart below (the billings index in red versus the S&P 500 in blue), describing the surge in billings as a “huge tailwind” for the market. The chart above suggests that billings can at times correlate with the market – but of course, that is not always the case.